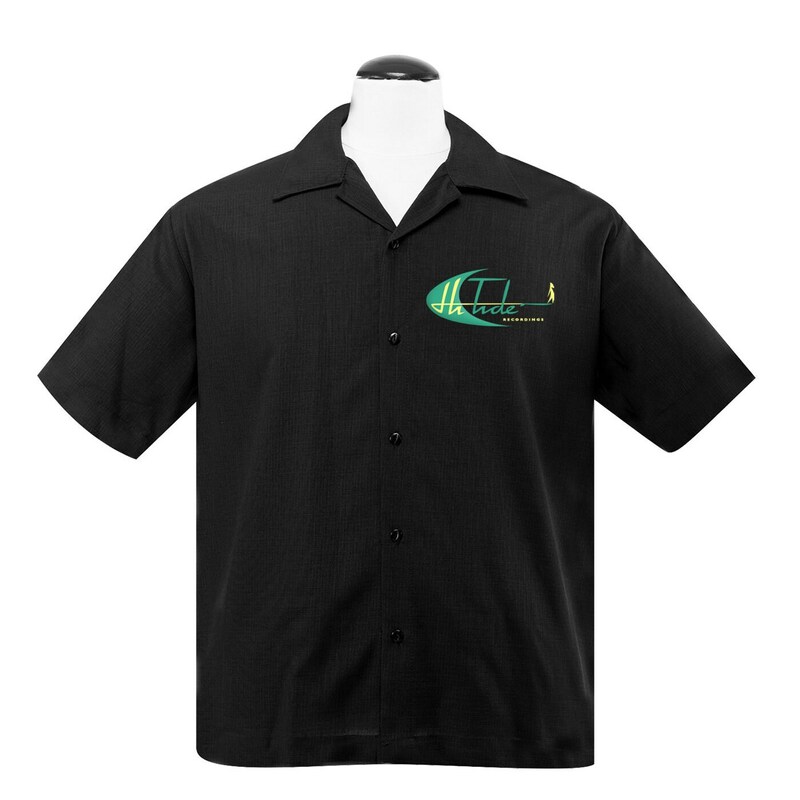 Hi-Tide Recordings Button Down, black with jungle green & yellow embroidered logo on the left chest. Made in the USA by Steady Clothing. Artwork by the great Fred Lammers!